I love this post. It's a huge realization and I applaud you for working through this emotional stuff. Great job, lady. 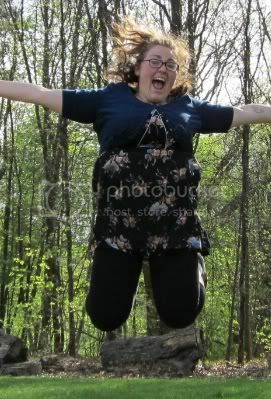 I love your "jumping for joy" picture! You are amazing, Mary! Not only have you steadily lost weight, you are fit enough to jump like that (I'd need a trampoline under me! ), you are honest with yourself (and us), but you have such a genuine smile. You are really showing us how to live a lifestyle change. Thanks for that. And yes, you are incredible! You are doing great and look amazing in your pictures. I think maybe you just need to try and forget about the past because even though its great that you have lost the 135 lbs, you almost need the mindset that you are starting a new journey just like you did last July. Maybe it will help you refocus. Stop looking at the total weight loss make small goals and start a new overall tracker from this point forward. Also tracking total miles run makes me feel good, almost up to 250 for the year. Amazing post Mary! Honestly my heart started racing reading this. I can't imagine how that must feel. It's definitely something unique to your journey, and only you know (or have to find out) how to push it. I truly believe you'll get there, and that's because you believe it too!!! You look absolutely amazing right now! Really fantastic post and one I needed today. Had a rough day yesterday and not beating myself up over the past is something I really struggle with. For me, being overweight has been part of my identity. It is who I am. When I get to my goal weight, it is almost like I don't know who I am anymore. I think that's why I continually put on about 10 pounds again. It may not be the 50 that I lost, but it is still a little extra padding that allows me to be that overweight girl who obsesses over losing weight, even if it is only in my mind. You're amazing. The fact that you've tapped in to what you're feeling so quickly speaks volumes, I think. I had a little flip flop moment myself when I got below 200 - because that is where I'd always failed in the past. But I didn't figure it out right away, and I've been meandering around the same 20 lbs since the beginning of the year. You, on the other hand - you've got this. girl, i don't say it enough: you're flippin' amazing! here's to no more flip-flopping!! Yes, it is a small club to belong to, being someone who lost "a person", but you are inspiring so many people who will hopefully join you in that club. I will always be a person who weighed 270 pounds and that is part of who I am, just as part of who you are is BECAUSE you were that person. You gotta love her. You are awesome. You look like a whole different person and it is awesome. Don't sabotage yourself by getting caught up in the feeling, just keep moving forward. Glad your week has been amazing. Do you know, i read this entry earlier and thought 'i can't relate to that because i'm 20+lbs heavier than Mary, plus i've only lost around 20lbs in my journey', but having thought about it quite a bit, i realise i can. 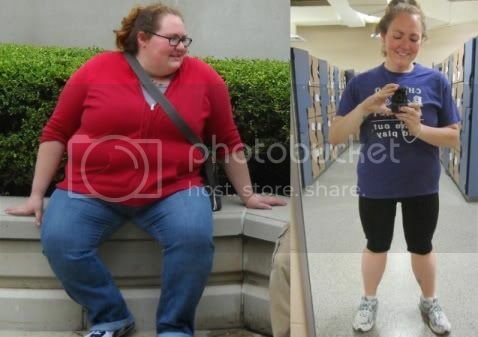 I haven't lost 135lbs, but i have found myself at a point where i am flip-flopping. I can make excuses about having not been well, and lost my mojo a bit, but what your post reminded me is that i am now the lowest weight i have been in the last 5-6 years, and i am comfortable here (i know, that sounds crazy, right?). It's like what other commenters have said- i've failed at this point before, and i guess i am v scared of failing again, and it's not hard to maintain this weight, it's a comfortable weight for me. Wow, what a big comment. I no longer know what i'm trying to say! I could be bigger, I could be smaller, but this is where I am today. I remember hearing this at a Weight Watchers meeting years and years ago. It was so encouraging for me. I’m always in that “instant gratification” mode (to be at my goal weight RIGHT NOW!). This statement helps me to realize that I could be at my highest weight right now (over 50 pounds higher). I could be at my goal right now (had I stuck to my plan back in October and not fallen off track). BUT, I am where I am today because of choices I’ve made. Choices to not be 200 pounds and choices to eat junk and remain in the 150′s. I could be bigger, but I’m not. I could be smaller, but I’m not. This is where I am today. I need to accept that and do something about it.